Now taking reservations, in person, for the following specialty breeds. Pullets are sourced from only a small handful of trustworthy, NPIP approved hatcheries and hand-raised from one day of age in our growing facilities, where they are given the best quality of feed available and allowed to roam freely outdoors over 3/4 acre of pasture. 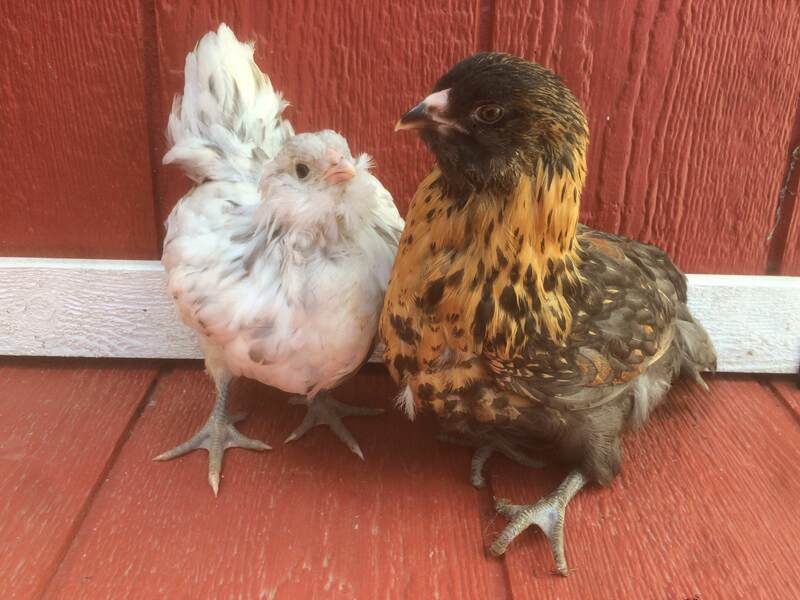 All of our pullets are GUARANTEED FEMALE. (Select cockerels are also available for those who want a rooster.) All of our stock is vaccinated for Marek's Disease. We take reservations for pullets starting 3-5 weeks prior to the arrival of a batch, and close them 1 week before arrival. Reservation fee is $3 extra per bird, and reservations require a minimum 50% deposit to hold birds. To reserve please visit us in-store. If you live more than an hour away, you may reserve over phone by calling (530) 363-5981. Reserved birds are typically brought from the growing barn to the shop 1-2 days before the actual arrival date of the batch, and can be picked up at this time. If you have reserved any birds, you will get a phone call letting you know when they are here. For most of our common breeds, reservation is usually unnecessary. However, if you are interested in a breed marked rare or limited, reservations are recommended. Please note that if you have not returned our phone calls or picked up your birds 10 days after they become available for pick-up, we reserve the right to resell them, regardless of payment status. Reservations currently OPEN for: BATCH ONLY - RESERVATIONS CLOSE ! ***We rarely have 16+ week old birds in stock, and in our peak months of March-August we typically only have 8-11 week old birds available.